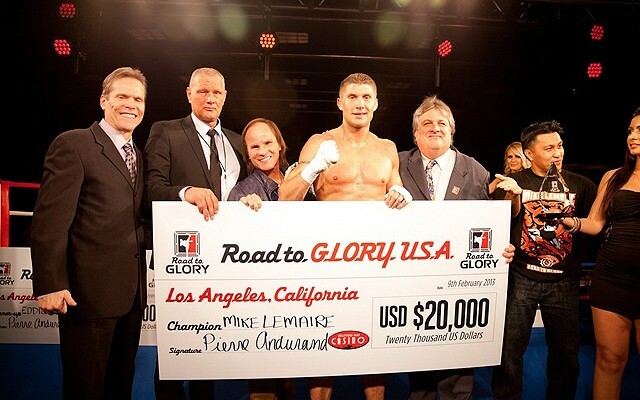 On Saturday, Feb. 9, GLORY continued its Road to Glory USA kickboxing series with an eight-man middleweight tournament in Los Angeles at the Hollywood Park Casino. The promotion will be holding tournaments in each of its weight classes, with each winner earning a $20,000 prize and a one-year contract with the promotion. After three rounds of tournament action, 26-year-old Mike Lemaire was the last man standing. The fighter kept his undefeated record intact with wins over Evgeny Zotov, Andrew Kapel and tournament favorite Eddie Walker. In the quarterfinal round, Lemaire knocked out the Russian Zotov with a second-round head kick. The semifinals did not go as smoothly for the San Diego-based fighter. Lemaire was on the receiving end of a head kick from Kapel in the opening frame, but managed to beat the referee’s count. Lemaire recovered and found a home for his right hand over the remainder of the fight, but needed an extension round to walk away with a split decision verdict from the judges. Lemaire faced off with the heavily-favored Walker in the tournament championship bout. Walker stalked Lemaire early but Lemaire remained unfazed and landed multiple combinations with his hands. In the second round, Lemaire delivered a right leg kick to the left thigh of Walker, who fell to the mat in obvious pain. Walker survived the round, but the damage had been done, as Lemaire continued to attack Walker’s left leg, buckling it three times before the referee intervened. With Anthony Pettis Dropping to Featherweight, Who’s Next in Line at Lightweight? 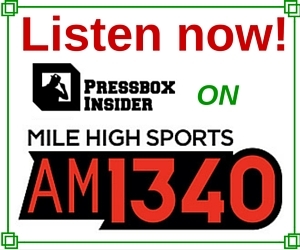 Your home for all things MMA. News, Interviews, Event Coverage, Editorials. If it is MMA related, you will find it on The MMA Corner.